Unfortunately, things can go wrong and excessive flooding can cause damage to properties. These situations happen in many areas across the United States from time to time. If the worst happens one day and you become a victim of flooding then you’ll probably choose to sell your house and move to a new home. Obviously, selling a house after flood is a very challenging task. The issue is that nobody wants to buy a property in a poor condition and, of course, water damage will have a huge negative impact on buyer’s decision. So, if a potential buyer finds out that your home had water damage then he/she is likely to refuse to purchase your property or insist on dropping your asking price. That means that it may take you too much time to sell your home. In this blog, we are going to provide tips for selling a house with water damage. Follow our tips to sell a home after flood fast and easy. You’ll find it easy to sell your property in any condition if you set an asking price for it correctly. Obviously, nobody likes to pay more than your house really costs. On the other hand, sellers don’t want to lower the asking price of their properties. It’s a great idea to consult with a realtor (or several realtors) before to start selling your house. An experienced real estate agent will be able to help you determine the right asking price of your house very quickly. You can also try to set a higher asking price for your house at the beginning. So, if you can’t sell your house within a month then it’s time for you to drop the asking price. Then, wait a month and lower the asking price again if a house is not sold. It’s clear that you should reduce the price of your home more frequently if you would like to sell your property faster.This is an effective strategy that works for selling all types of properties! So, you can also use this type of strategy to sell a house with water damage. 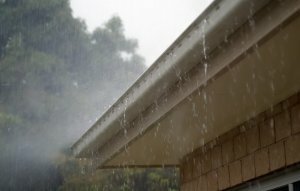 If your house has water damage then you should definitely try to repair it as soon as possible. In fact, the flood can cause different types of problems in your house. Your job is to detect all of problems and then fix them for good. You need to know that flooding can cause damage to air ducts, air conditioning systems, heating systems, electrical appliances, sewage systems as well as walls and ceilings. Flooding can also result in severe wood rot, roof damage, termite damage as well as distortion and warping structures. As mentioned earlier, if potential buyers see any signs of water damage in your house during showings then they will definitely ask you to reduce the price of your home. That’s the reason why homeowners should do everything possible to repair all of the damage in the flooded house. It also makes a lot of sense for a seller to paint everything in a house after the flood. Keep in mind that even small changes can make a big difference. So, if your house looks fresh and clean then you’ll be able to make a great impression on potential buyers. And of course,this will help you sell your flooded home at the highest possible price. Let’s assume that you don’t have time and money to fix a house with water damage before selling. In this case, you should try to sell your house as-is. If you choose to sell your house as-is then you also need to advertise it as-is. Thus, a potential buyer will know that your house has water damage and, therefore, it needs to be repaired. It’s worth noting that selling a house as-is has its own benefits and drawbacks. What is great about selling a house as-is is that this option gives you an opportunity to sell your property fast. On the other hand, you need to reduce the price of your home significantly if you choose to sell it as-is. Sometimes, people find it hard to sell a house with water damage. Imagine the situation that you do everything possible to sell your house after the flood, but all of your efforts haven’t been crowned with the success. If this is the case, you should definitely try to sell your house with water damage to a real estate investor. Below, we’ll outline the key benefits of selling a property to a real estate investor. – First and foremost, the vast majority of real estate investors purchase property in any condition. That means that it will not take you a long time to find a real estate investor who agrees to buy your house with water damage. In other words, real estate investors are always ready to provide fast and effective solutions for any of your needs. – Another important thing that you need to be aware of is that real estate investing business is highly competitive. So, you are likely to find a lot of investors who are interested in purchasing your property. Finally, you’ll be able to choose the best cash offer and sell your house with water damage at the highest possible price. – It’s pretty easy to sell a house to a real estate investor. You don’t need to search for a good real estate agent, receive numerous calls every day and schedule showings on a regular basis. – It’s also important to note that real estate investors act really fast. It usually takes investors about 24 – 72 hours to evaluate ahome’s value and provide a seller with a cash offer. It goes without saying that if you choose to deal with a real estate investor you’ll be able to sell your house with water damage fast and easy.